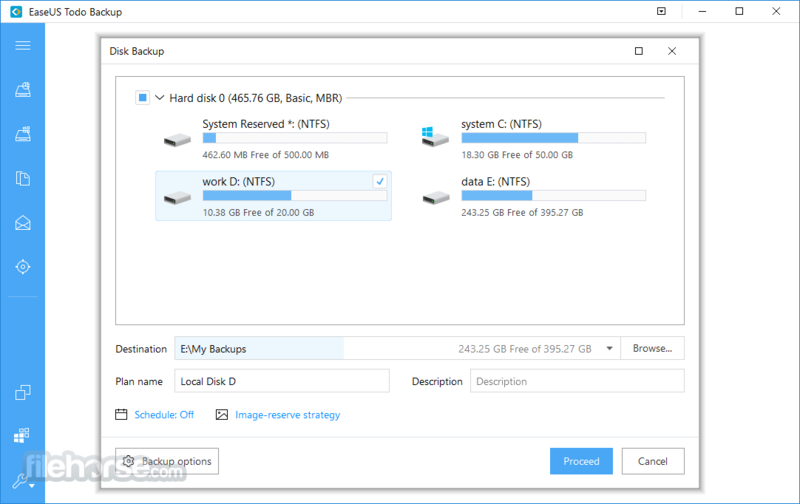 EaseUS Todo Backup Free is a reliable backup & recovery software enables users to back up system and restore it to original state when disaster happens and performs comprehensive backup types. It is an award-winning solution for a good reason: with detailed instruction wizards, your system, files, folders, videos, music will be in a safe condition within minutes without the help of an IT specialist. Most of all, it is free to use. It lets you create backups of your important data or your entire PC through its streamlined interface! Attacked by virus especially ransomware like new outbreak of Bad Rabbit after the widespread WannaCry cyber attack and new Petya Ransomware attack that encrypted a huge amount of files? Lost important files? System crashed and failed to start again? Was your device stolen unexpectedly? Natural disasters occured suddenly? Data disasters spread any where to risk the safety of crucial files. EaseUS Todo Backup, the best free backup software for PCs or laptops protects everything against harmful threats. It’s a great practice to back up your files on a daily basis and prevent data from destructive disasters. 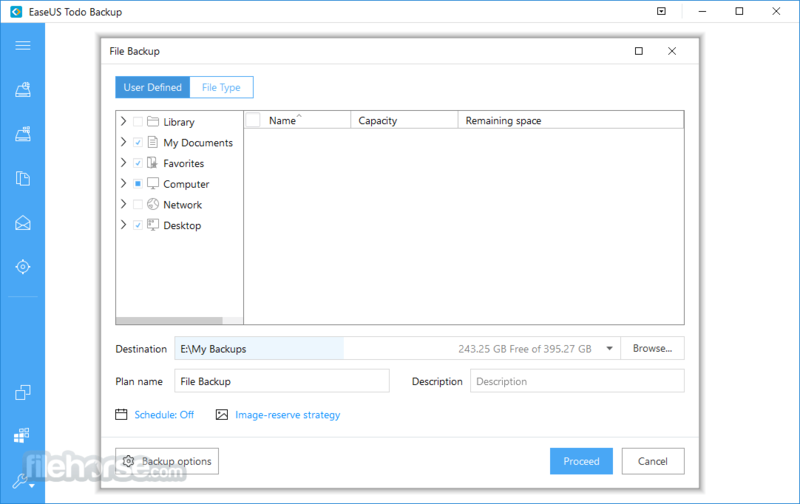 EaseUS Todo Backup Free backs up your data regularly to protect data from crisis and restores files, photos, music, video, audio and more directly from backups soon. Ensure everything to go normally without any interruption. EaseUS backup software for PC makes it much easy to protect whole PC or laptop at the minimum cost and time. Hard drive needs to be upgraded or replaced? Have troubles for transfering OS or data to another disk, like migrating OS to SSD? 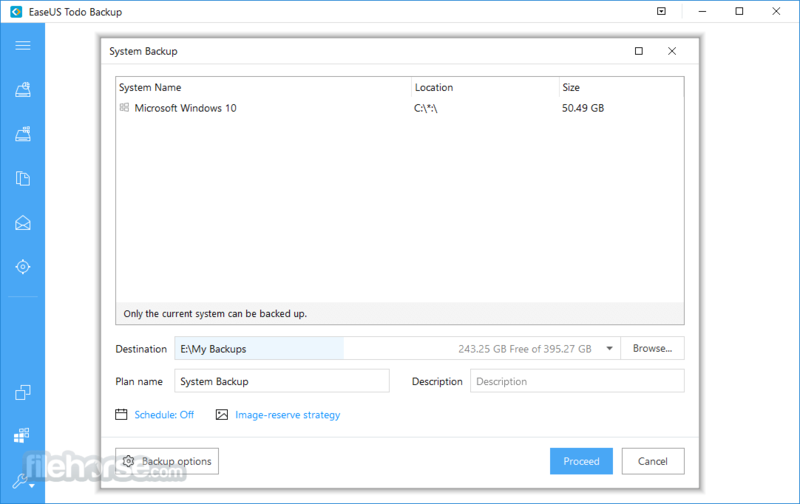 The clone feature in EaseUS Todo Backup offers a free and reliable way for disk upgrade, hard drive replacement and data transfer! Protect all important files with advanced disk-imaging technology and make fast disaster recovery at critical time. Easy to back up your entire system including any applications and configurations in one compressed file. 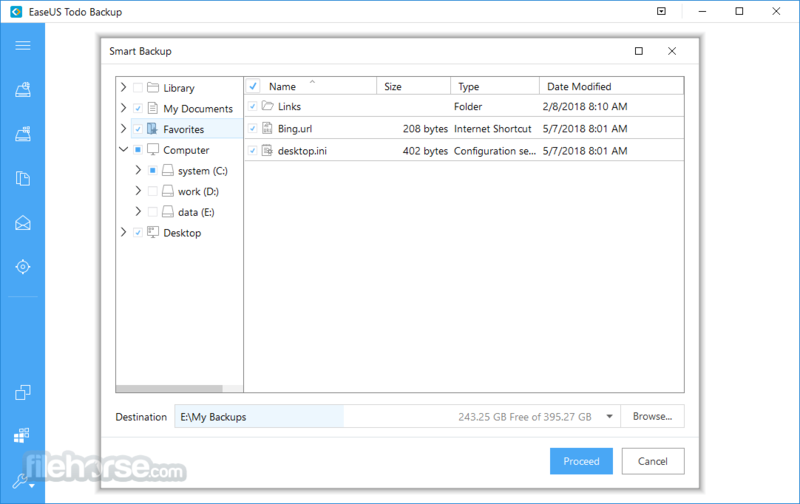 EaseUS file-level backup allows you to selectively back up specific files or file folders including network shared files. Block-level disk imaging of EaseUS Todo Backup Free backs up your entire disk or volumes at fast speed. Back up entire HDD or SSD or specific partition including all data stored on it in case of any disk failure. Browse all created backups through Windows Explorer and simply copy-paste files or file folders. Clone HDD to SSD, MBR disk to GPT disk or GPT disk to MBR disk from an old hard to a new one or small-size disk to large-size disk. Effectively migrate OS to SSD for Windows 10 without re-installing anything. And it fast clones Windows 10 to SSD free and transfers OS from one SSD to another. 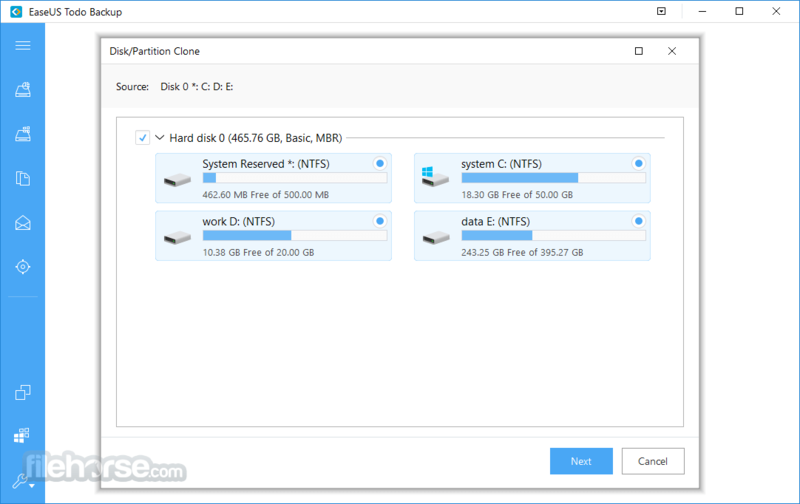 Clone partitions or volumes with all data included to another place. An efficient way to transfer data and make double-protection for crucial data.